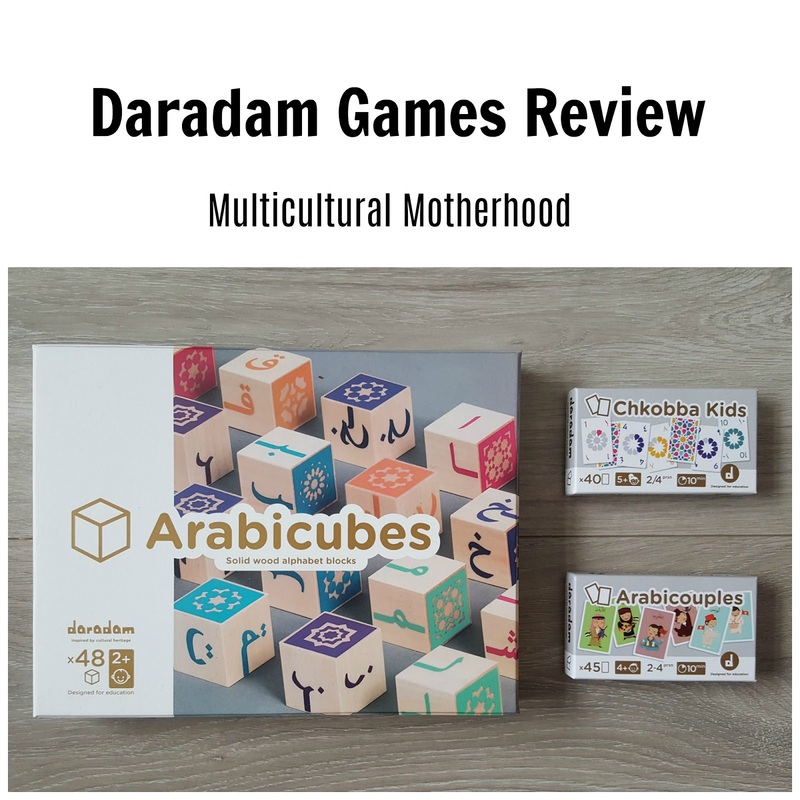 Daradam is a new French company dedicated to creating educational toys to teach children about Arab heritage and culture. 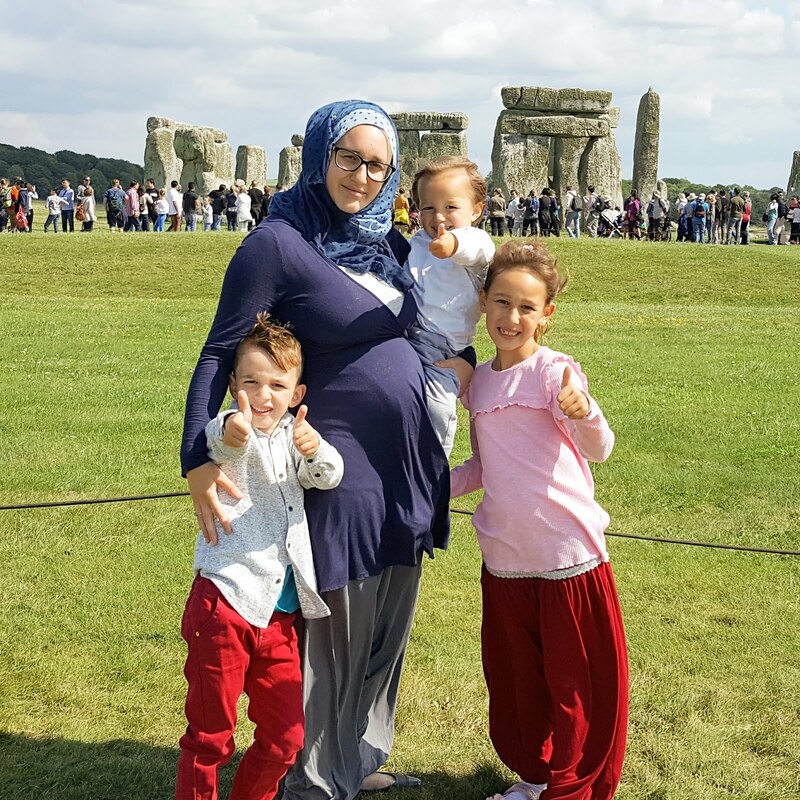 Set up by a multicultural family out of a mum's frustration at not being able to find toys and games for her multilingual children to learn about the language and culture of the Arab world. Hanna Lenda, the founder of the company, took matters into her own hands and began to design toys that would fulfil her vision. She had them produced and that is how Daradam began. There are three toys and games in the collection at present, with plans for more to be introduced in the future. 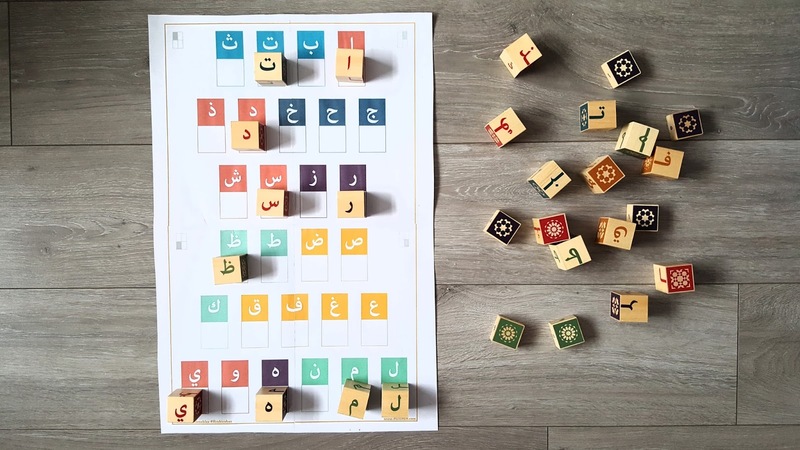 The products are designed to be used either in schools or at home to teach children about the Arab world's language and culture. Their aim is to promote the richness of this culture through intergenerational interaction. I was delighted to be given these three games to review. The first thing that strikes you about them is the high quality and design detail. All three games are designed to be attractive as well as educational. The blocks have a beautiful design on one side, while the other sides have Arabic letters and diacritics. 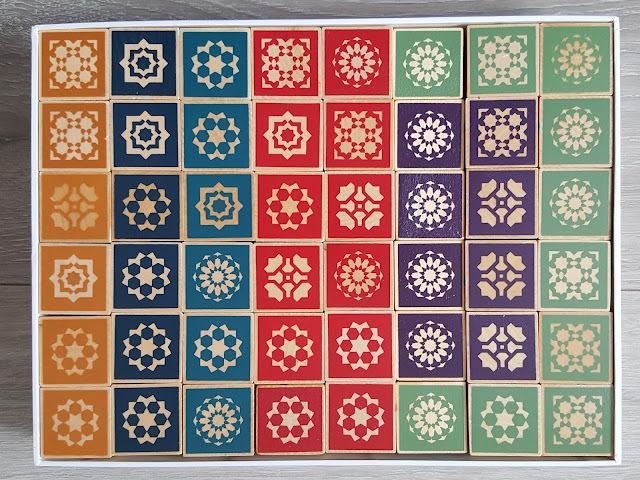 The cards are also attractive, on one side are numbers or pictures and on the other is a beautifully attractive pattern in bright colours. A delight for the eyes! I had not played either of these card games before so was interested to find out how to play them. Chkobba is a game with numbered cards from 1-10 in four different colours. It is a great way to teach children simple mathematical skills, as well as learning how the numbers are written both in English and Arabic. To play the game, each player has three cards and four cards are placed face up on the table. Each player takes it in turns to see if any of the cards in their hand match the number on one of the cards on the table. Players do not need to have a card with the same number as one on the table, they can take one of their cards to capture two cards on the table that add up to the same value as their card. 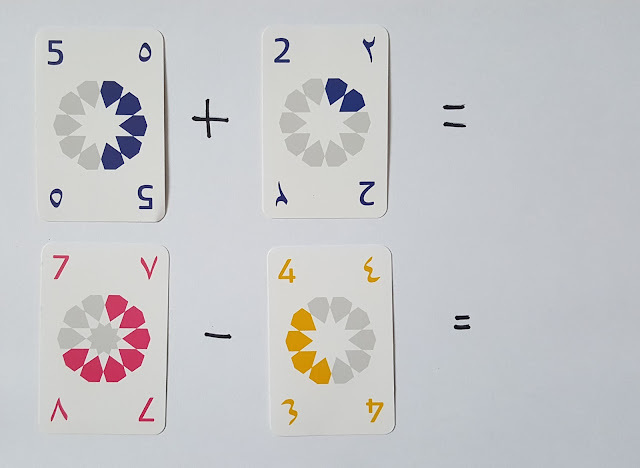 If the player is able to do this, they take the card or cards from the table, along with their card, and place all two or three cards face down in front of them. If a player cannot use any of the cards in their hand, they must put one of their cards face up on the table. In this way, the cards in play are replenished and used in the game. Once each player has used all three of their cards, they take another three from the main pile. 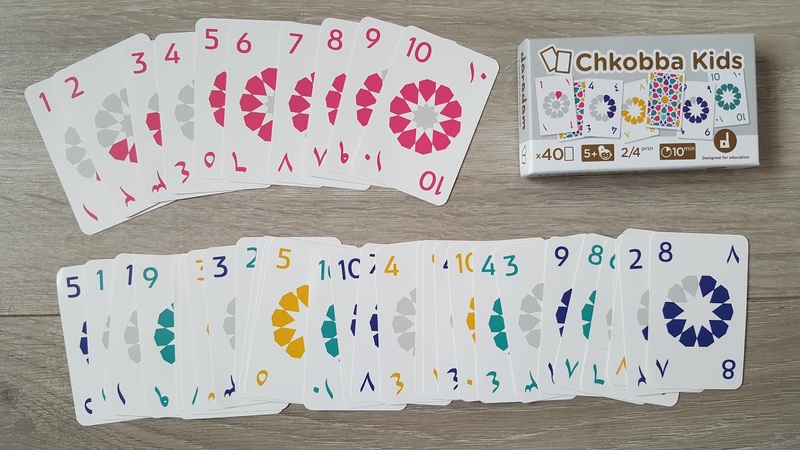 Once all the cards have been played, each player counts the number of cards they have taken (the ones which are face down in front of them) and the player with the greatest number of cards gets one point. Additionally, the player who has the most pink cards gets one point and the player with the pink 7 also gets one point. Therefore, one of the aims of the game is to capture the pink 7. You continue to play the game in the same way until a player has reached 11 points, therefore, you must keep a tally of the scores. This game is an excellent resource to teach children about addition and get them thinking about numbers. It is also fun for adults and so it is a great family game. This is a game I also had not seen before. It is wonderfully educational and can teach children many things. Each card has a picture of a male or female in the traditional clothing of their country. 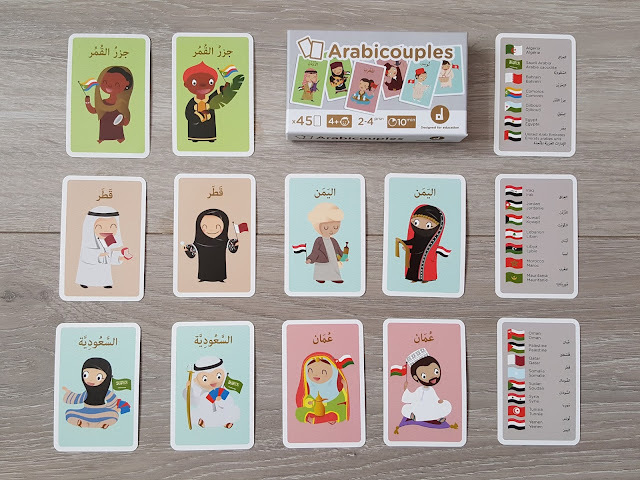 There are 21 countries of the Arab world represented on the cards. Each figure is also holding the flag of their country and the name of the country is written at the top of the card in Arabic. 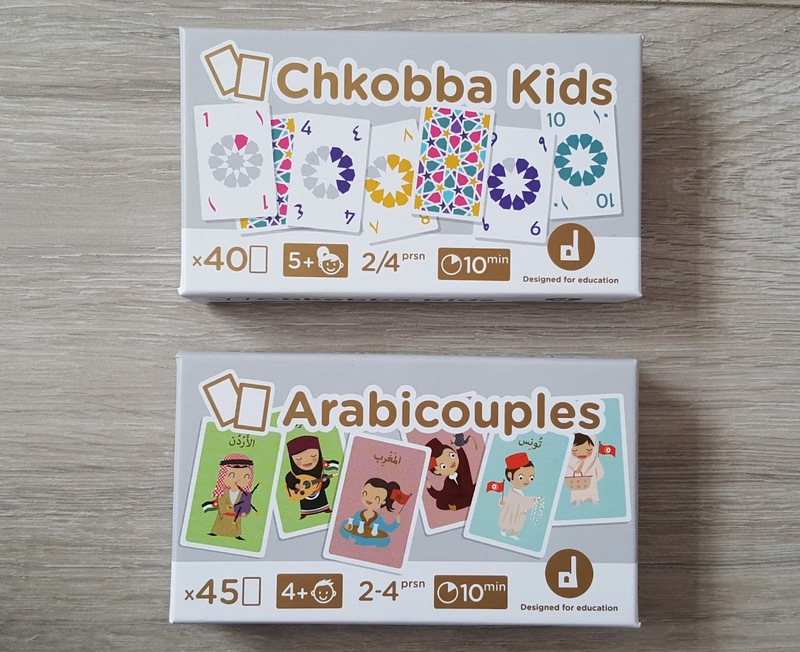 The aim of this game is to find the Arabic couples. The cards are shuffled and dealt between the players. 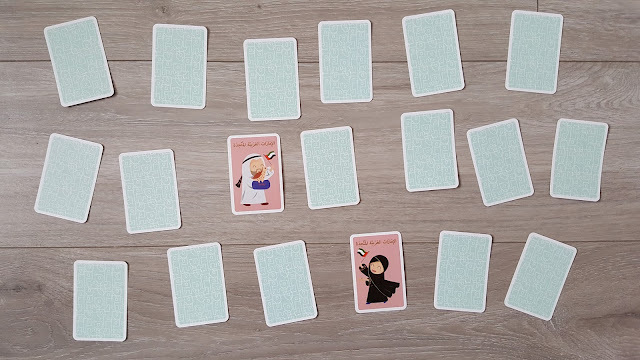 Each player looks at their cards to see if they have any matching couples. If they do, they place these cards face down in front of them. Then players take it in turns to take a card from another players pile and see if they can match it to any of their cards. The player with the most couples at the end of the game wins. This is a fun and interesting game that the whole family will enjoy. However, there are also so many educational ways these cards can be used. I will explain how we have been using them for learning at home below. 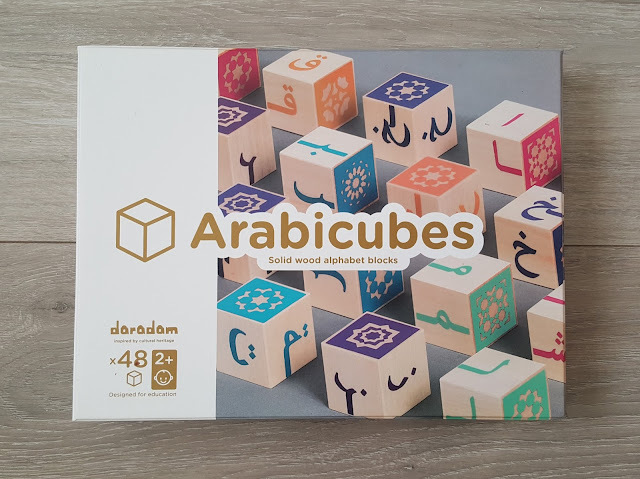 I am always on the look out for Arabic alphabet resources so I was delighted to be sent a box of these Arabicubes. The first thing you notice is how brilliantly they have been designed. They are made of high quality wood and have beautiful designs on one side and Arabic letters on the other sides. 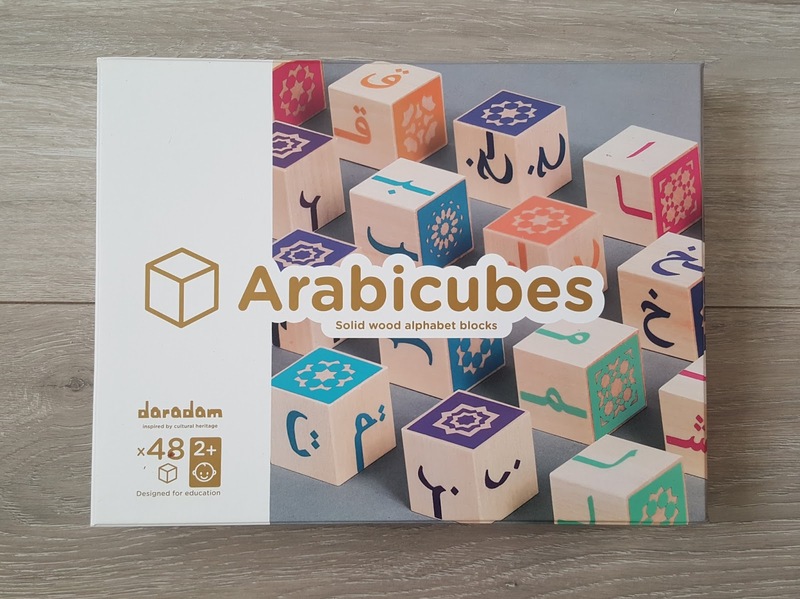 Not only do the blocks have each Arabic letter as it is written on its own, they also have the different forms of the Arabic letters written on different sides of the cubes. This means children can learn the different forms of the Arabic letters as well as use the blocks together to create words. There are also block with the diacritics on them which represent the vowel sounds in Arabic. This is an exceptional resource that will, no doubt, be a great addition to your Arabic language resources both at home or in school. I will now explain how we have been using these blocks to give you an idea of the multiple ways they can be used for different age groups. These number cards are a useful resource to have. Not only can they be used as intended but also as number flashcards to teach your children to recognise numbers in both English and Arabic. Also, they have a circle with triangles on and the amount of coloured triangles represents the number on the card. This makes it a great learning resource for young children who are just beginning to learn their numbers as they can count the number of coloured triangles to find out the number on the card. We have also used these cards in our maths learning over the last few weeks. Again, the coloured triangles makes it easy for those children who are just starting to learn to do sums as they are able to count the triangles to add up or subtract the numbers. This is brilliant as no extra resources are needed, it is all on the cards! 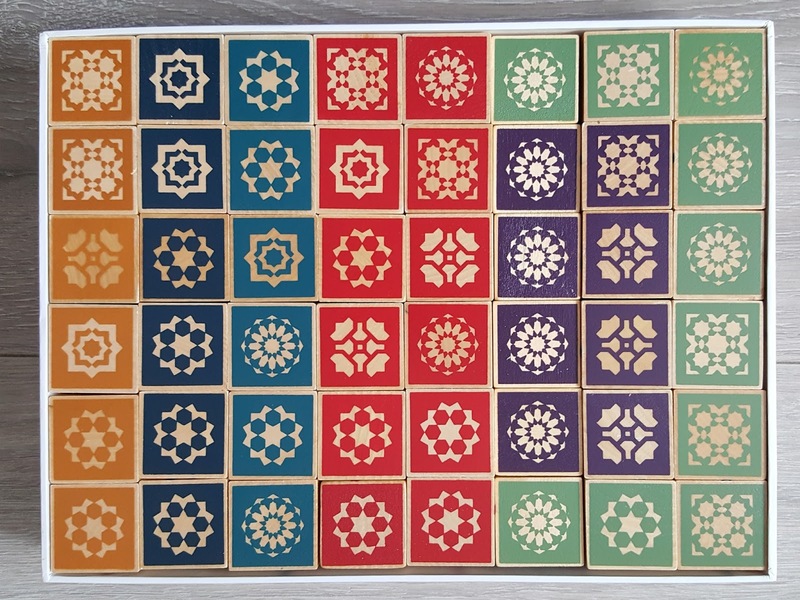 I absolutely love this pack of cards, not just for the attractive design but also for the amount of learning that can happen with them. They can be used for learning about traditional clothing, flags and also how to read and write the countries in Arabic. So many fantastic uses in just one resource! Not only have we played the game in the way it is prescribed, we also used it to play match the pairs. My children adore match the pairs games. We placed all the cards face down on the floor and the children took it in turns to turn two cards over and see if they could find the pairs. This game is great fun! As I mentioned above, these cubes are a great resource that can be used in many ways for different age groups. 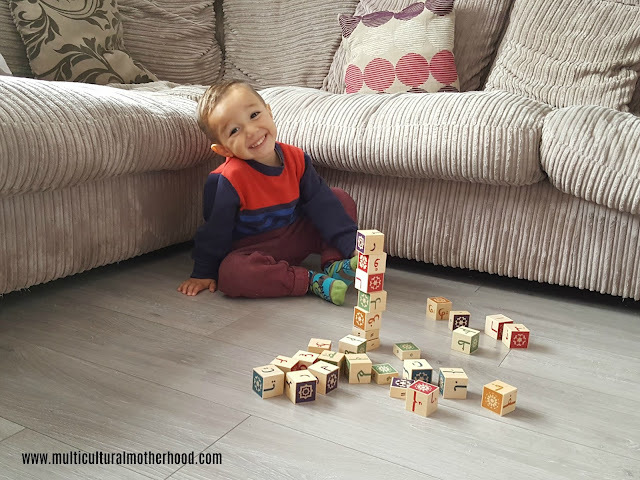 My toddler enjoyed stacking them up into towers and then knocking them down! 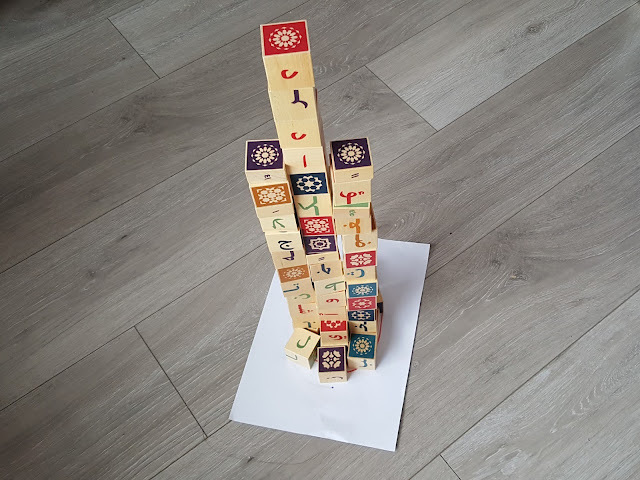 My 5 year old used them to practise the Arabic alphabet. 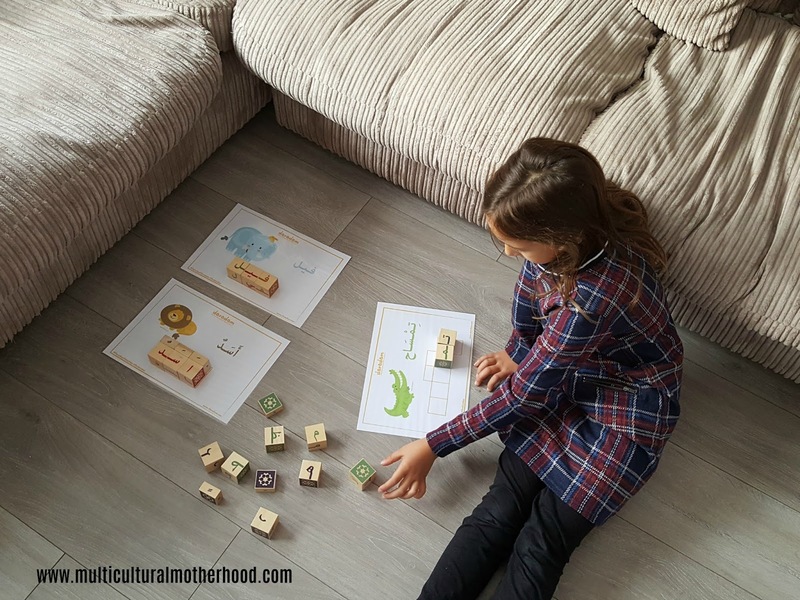 He enjoyed lining up the letters in the correct order of the Arabic alphabet using the free printable from the Daradam website. He then had a go at putting the letters in the correct order without using the printable. 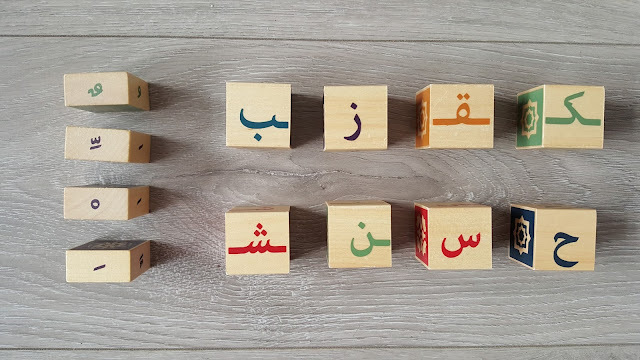 My 7 year old is starting to learn how to join the Arabic letters to create words so she was able to use these cubes to create words. She started off by using the free printables on the Daradam website and then began to make her own words. After making the words she enjoyed writing them down as she loves writing, particularly writing Arabic. Overall I would highly recommend these three products to anyone. Each can be used in a variety of ways for both entertainment and educational purposes. By adapting the ways they are used, they can be used by children of a variety of age groups. The card games are fun for the whole family and a great way for parents to enjoy some quality time with their children. Voucher code for 10% off! Disclosure: I was sent these Daradam games for purposes of review. All thoughts and opinions are my own.